Dollar Key Finance PowerPoint Templates And PowerPoint Themes 1012-"Microsoft Powerpoint Templates and Background with key with a dollar sign" -Dollar Key Finance PowerPoint Templates And PowerPoint Themes 1012-This PowerPoint template can be used for presentations relating to-"Key with a dollar sign, business, success, security, signs, money" Over a time the keenness may erode. 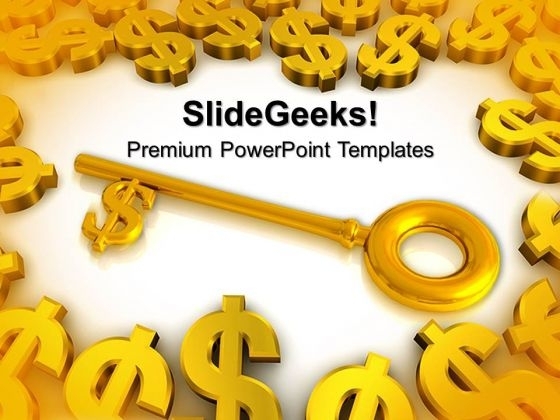 Keep the edge sharp with our Dollar Key Finance PowerPoint Templates And PowerPoint Themes 1012. Customers can be very fastidious. Cater to their every fancy with our Dollar Key Finance PowerPoint Templates And PowerPoint Themes 1012.